A bit of a revamp here. Old stuff below the divide for easy comparison. Psychics are individuals with supernatural powers not typical amongst their race that are both inborn and without any obvious ritual cause. The child of two psychics is uniformly psychic, as it is a dominant allele in chromosone pair 13. It is possible to add, remove and modify these alleles using scientific intervention. Hybrid unions between human and xenoform, or two different xenoforms nearly always produce a psychic, even if neither were psychic to begin with. This is thought to be a possibility of the origin of psychic powers. Any power typically develops at the start of puberty and its nature entirely disregards the parents' own powers. The type of power is loosely derived from personality (which can be sculpted through nurture) and tightly to any already-developed psychosis or brain damage (which is much harder to sculpt). Psychics are traditionally perceived to have only a single type of power, though this is not strictly true. They always have two powers; a dominant power and a submissive power. The dominant power is the most obvious and notable consequence of being a psychic and are tied to the brain's alpha waves. A psychic is generally able to manage their own dominant powers and most often incurs psychosis or brain damage from exponential power growth rather than lose control of them. The submissive power is believed to work as a counterbalance to the dominant one to prevent the psychic's brain from tearing apart and are associated with the brain's beta waves. Alarmingly, submissive powers cannot be controlled and manifest reflexively or subconsciously, if ever. Types of psychic powers are grouped into pairs, known as opposites, which always balance each other. If a psychic has a certain dominant power, his submissive power is always the opposite. For example, if someone is classed as a 'telekinetic', they are also submissively telepathic. There are currently rituals, devices and even mental exercises that allow one to interface with these powers, though they cannot match the intensity of reflexive beta reactions and indeed, these reactions stop working when being altered by outside influences. Cultists of N seem to have the best beta wave methods, but as of yet we do not have access to them. There are other types of psychics known as dormants, inactives, nils and so on. 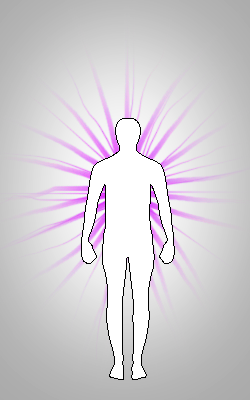 These people project purple streaks in their auras like psychics, but do not appear to manifest any psychic powers. One such example is our own Dr. Mieko Tamakeri. In testing, Dr. Tamakeri displayed very minor beta wave readings when pelted with small objects, but no visible power. Direct access to the minds of other sentient beings. Includes the ability to read minds, alter memories, control people's actions and emotions and communicate without speech. The most documented psychic power. Ability to affect material world using thought. Includes ability to subject objects to force remotely from up to eighteen different points in the most powerful cases, two at least for others, compression and decompression of objects, shaping of liquids and gases. The second most documented psychic power by a narrow margin. Ability to perceive events out of sync with the flow of time. Formerly referred to solely as precognition, further research in the context of time travel made a change to official categorization necessary. Though predicting the future in some way is the most common manifestation, accurately recalling past events and events past, present or future at synchronous points in parallel universes are also known abilities displayed by precogs. The Biopathy/Temprocognition pair are highly likely to cause brain damage when a new power is manifested. Ability to alter, add to and take away from a wide variety of biological processes in most lifeforms. Previously referred to as 'healing', as this was for a long time the kind of biopathy ever observed. A more offensive use of biopathy has been to reinforce one's GI tract and add digestive enzymes to metabolize fruit juice into a highly flammable gas, giving them a fiery belch, or altering innocent mushrooms to produce a virulent toxin. The Biopathy/Temprocognition pair are highly likely to cause brain damage when a new power is manifested. Ability to perceive the incorporeal and interact with and manipulate spirits. Also allows them to manifest powers that would make them use powers associated only with spirits. Also able to protect others from spirits or facilitate other's contact with them. Potentially the most powerful kind of psychic. Mediums are always emotional, intuitive and strangely personable. These are not classed as psychic traits, but are uniform in all specimens. Ability to create small, limited exceptions to natural laws that stay in place when tied to a material or assembly of materials. A 'Mad Scientist' most often is not aware that he is a psychic and creates his improbable 'inventions' without realizing they shouldn't work. Mad scientists are always extremely rational and logical, though the basis for such is often misplaced. Mad scientists are delusional, maniacal and obsessive, and always furiously intelligent. These are not classed as psychic traits, but are uniform in all specimens. Ability to create, control and neutralize a certain kind of energy and energy sources, such as a fixed range of temperatures, combustion, electrical current, light, chemical reactions and so on. Energykinetics seem to only be able to control one sort of 'energy', which can be changed by sudden psychological or physical brain trauma. Specific variants include pyrokinesis, cryokinesis, electrokinesis and photokinesis. Ability to temporarily alter the laws of physics creating a variety of dramatic effects such as teleportation, matter manipulation and force manipulation. Time manipulation is also theoretically possible with this power, though no examples have been observed. Clone testing is underway as we type.